Jonathan Summers was born in Melbourne, Australia in 1946. He trained with Bettine McGaughan in Melbourne and Otakar Kraus in London. 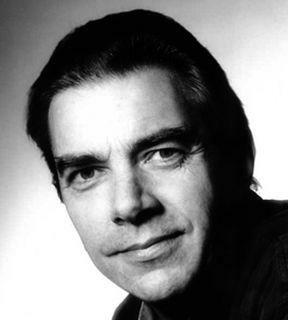 Jonathan made his professional debut in 1975 in the title role of Rigoletto for Kent Opera in Eastbourne, UK. He was a company member of the Royal Opera House Covent Garden from 1976 to 1986. For many years he has regularly worked with the great opera singers of the day including Joan Sutherland, Kiri Te Kanawa, Mirella Freni, Alfredo Kraus, Jon Vickers, Placido Domingo, Jose Carreras, Luciano Pavarotti; and also many of the great conductors including Carlos Klieber, Sir Colin Davis, Sir Charles Mackerras, Sir George Solti, Bernard Haitink, Riccardo Muti, Wolfgang Sawallisch, and Claudio Abbado. In the UK he has performed with all the major companies in roles including Killian in Der Freischutz, High Priest in Samson et Dalila, Figaro and Count Almaviva in Il Barbiere di Siviglia and Le Nozze di Figaro, Papageno (Die Zauberflöte), Rigoletto, Balstrode (Peter Grimes), Marcello (La Bohème), Demetrius (A Midsummer Night’s Dream), Silvio (Dr Miracle), Sharpless (Madama Butterfly), Paolo and Simon Boccanegra (Simon Boccanegra), Ford (Falstaff), Iago (Otello), Rodrigo (Don Carlos), Renato (Un Ballo in Maschera), Onegin (Eugene Onegin), Kurvenal (Der Fliegende Holländer), Amfortas (Parsifal), Amonasro (Aïda), Germont Père (La Traviata) and the title roles in Macbeth, Don Giovanni and Nabucco. In Europe he has performed as Rodrigo (Don Carlos), Figaro (Le Nozze di Figaro), Marcello (La Bohème), Sharpless (Madama Butterfly), Renato (Un Ballo in Maschera), Germont père (La Traviata) and the title role in Rigoletto at the Paris Opéra, the Herald in Lohengrin, as well as roles in Alceste and Das Rheingold. American engagements have included Marcello (La Bohème) at the Metropolitan and Enrico in Lucia di Lammermoor. Other roles in Australia and elsewhere have included Count di Luna (Il Trovatore), Zurga (Les Pêcheurs de perles), Scarpia (Tosca), the title roles in Falstaff and Wozzeck, Amfortas (Parsifal) and the Dutchman (Der fliegende Holländer). In 2004 Jonathan Summers performed as Gunther (Götterdämmerung) in State Opera of South Australia's production of the Ring under Asher Fisch (recorded and subsequently released by Melba Recordings). In 2008 Jonathan Summers performed with Opera North as Geppetto (The Adventures of Pinocchio) and Balstrode (Peter Grimes); The Israeli Opera as Sharpless (Madama Butterfly) and Barnaba (La Gioconda); and with Opera Australia as Iago (Otello).